Plan B… A Beautiful Website & 100’s of 1st Page Results! Customers who choose Plan B want a beautiful company website (up to 10 pages) and get 100’s of 1st page “organic” search engine listings on google, yahoo, bing, aol, etc., with our SEO Powerbooster Program. You also get FREE Hosting & Monthly Website Updates! Free Hosting & Monthly Website Updates! If you are looking for an outstanding custom website for your company and want to be 100’s of times on the 1st pages of the major search engine, this plan is for you! This is the BEST way to advertise! Each website we design includes search engine submission. This includes hand submission into Google, Yahoo! and Bing/MSN, as well as automated submission to the primary secondary engines such as Excite, HotBot and Lycos. Our SEO Launch service includes custom, page-by-page tag content optimization. Metatags are designed to make the most of search engine indexing and ranking. They enhance and sharpen language used in your site’s body content, while their proper deployment throughout the site ensures indexing engines obtain a comprehensive understanding of your product and/or service, industry, and activities. The extent to which your website can be found online is also related to the ability of search engines to discover, or index, information and pages on it. The top search engines, including Google, Yahoo! and Bing, now employ sitemap technologies to help in the indexing process. As such, our complete program includes building and installation of each of the major sitemapping systems, including Google and Bing’s XML system, and Yahoo’s TXT feed. 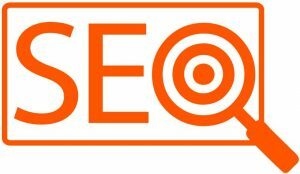 Our search engine optimization and website promotion services are available throughout Texas, including Houston, Dallas and San Antonio.